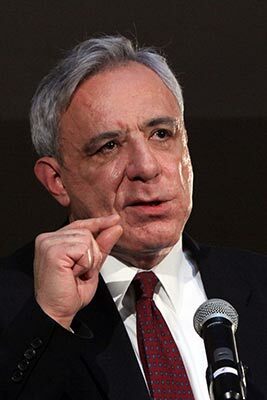 Armenia’s former Foreign Minister Vartan Oskanian has voiced support for opposition leader Raffi Hovannisian’s continuing street protests, at the same time calling for the resignation of the current government over what he implied were its failed economic and social policies. “Six hundred thousand people expressed their protest against the current authorities and demanded changes of persons, approaches and policy, and right now the carrier of those changes is Raffi Hovannisian,” he said. Oskanian also criticized President Serzh Sargsyan for indicating that he will make no sweeping changes in the government as a result of the presidential ballot. The ex-minister said even the official vote results should have prompted the president to take “drastic actions” to address popular disaffection with his rule. The PAP declared itself to be a force “alternative” to the ruling coalition led by Sargsyan’s Republican Party of Armenia (RPA) after quitting the government last May. The party led by tycoon Gagik Tsarukyan has not concealed its intentions to win power in Yerevan in the municipal elections slated for May 5. Oskanian is the top candidate on the PAP list to be submitted for the elections in which the RPA slate will be headed by incumbent mayor Taron Margaryan.